Generally, the Youth Development programs we support take place outside of the normal school day and are ongoing, rather than one-time, events. A cornerstone of our Youth Development work is the REACH Initiative, (formerly known as Montana Yellowstone Expeditions), an experiential education program for motivated high school students from the Central Coast of California that prepares students to be leaders in their community. REACH works with students to build life skills that prepare them to fulfill their potential in education and success for the future. 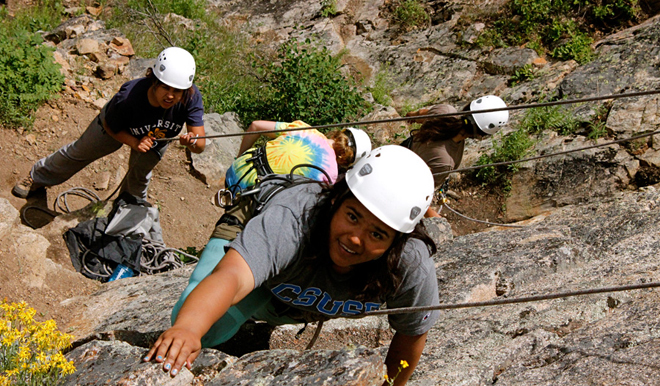 REACH is an experiential education program for motivated high school students from California's Santa Barbara County that prepares them to take control of their future. Supporting Youth Development programs that promote learning through direct experience and that support young people to become healthy, responsible, productive, and engaged citizens.